Chinese Travel Photography Gallery : photos, photographs, pictures and images of China. For travel information on Chinese hotels, tours and flights see the Beijing (Pekin) and China Travel Guide. 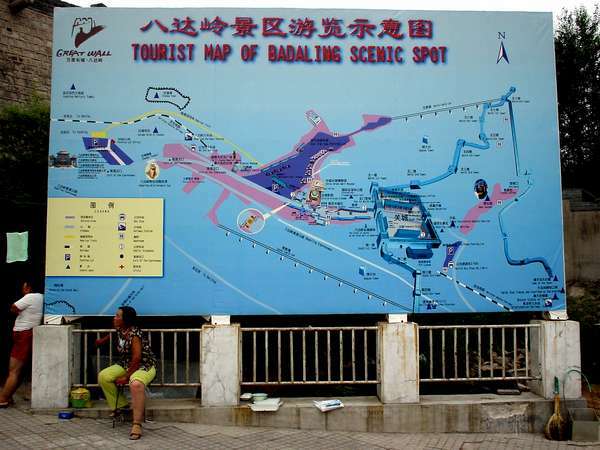 Photo of China, Beijing (Peking, Pekin), entrance of "Badaling scenic spot", the most touristy part of the Chinese Great Wall, there are over 400 shops, a cable car, a movie show and even a Toboggan-Ride !